Running out of space on iPhone? Want to wipe out some private data on iPad? 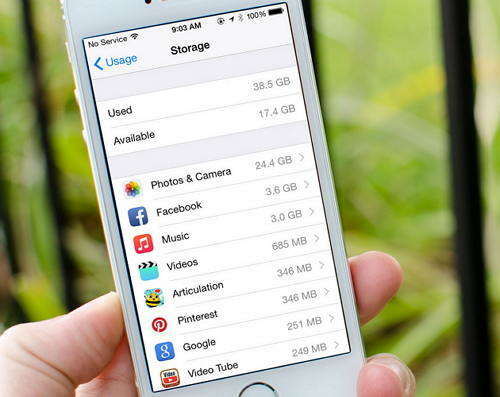 It's time to clean up iPhone/iPad memory so that you can have more storage or protect your private data. You can take a close look at the apps on your home screen and uninstall unnecessary apps. However, there's more you can do. You can also clean up other data like caches, cookies, off-line files and the like, which take up a large amount of space on your devices. Tenorshare iCareFone is a free utility to optimize your iOS 11/10/9/8 devices so that your iOS devices could be at the peak performance. It does an iOS system health check and speed up your device and apps by removing junk files. You can download it to your computer for your iPhone, iPad or iPod. The software works for non-jailbroken devices as well. 1)	Connect your device via a USB cable. Click "Trust" on your device when "Trust this computer?" message pops up. Then this software will detect it and list information of your device. Choose "Speedup&Clean". 2) Click Quick Scan button to scan your device. 3) In the scan results, you can see how much total space can be released. Junk Files: Remove junk files including caches, crash logs, cookies, and so on. Temporary Files: Remove app and safari temporary files to release space. Photos: You can backup original photos to computer and then compress the pohtos without quality loss to release space on iPhone/iPad; Also, you can backup photos to computer and then delete them from your iPhone, iPad to save more space. Large Files: Video and audio can take up a lot storage in our device. Transfer these files that have large size to computer and then remove them from computer will release a lot free space for other data, and thus speed up iPhone/iPad/iPod speed. Apps: Uninstall unwanted apps to release space. Tenorshare iCareFone allows you uninstalling apps in batch. 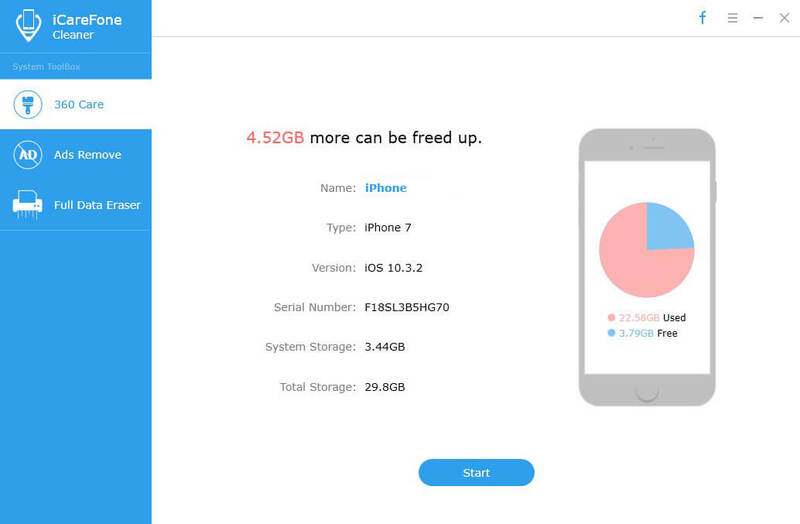 1)	There's no standard for how much space is good to keep free on your iDevice, but as a general rule, it's good to leave at least 500 MB-1GB of free space when you can. This frees up enough room for apps to store data so you don't have to worry about crashes. 2)	For important data, you should backup before you clean up your device. iCareFone offers flexible backup choices for you. 3)	If you want to clean up iTunes library to free up space on iPhone, iPad and iPod, the iTunes Music Cleanup could be a great help. It's a pretty simple to use. Click here to see how to clean up iTunes library.